The opening remarks of R. L. Bhatia, the governor of Kerala, were brief but galvanizing. Having set the tone for the seminar on governance and development, the governor proceeded to formally inaugurate the event by lighting the large brass lamp located center stage. Enthusiastic applause erupted from the audience, but it died out awkwardly as the governor struggled to light the last wick on the far side of the lamp. Despite the governor's strained efforts with a rapidly disappearing match, the wick refused again and again to light. A young man eventually entered from stage left, carefully resoaked the wick, and, to the relief of the strained necks in the audience, finally set it alight. With renewed applause, the seminar was now set to begin. Over the course of three days in December 2005, the national seminar on Kerala's developmental experience attracted politicians, community organizers, scholars, and public officials from around the country to the leafy suburbs of Thiruvananthapuram. Participants were given an ambitious agenda: to discuss new orientations for Kerala's developmental and governmental future. A sense of urgency charged the seminar atmosphere. Many spoke in the dystopic terms of crisis and decline, referencing high suicide rates, the "disease" of consumerism, aimlessness among youth, the moral breakdown of family life, and rising violence against women. A few were more optimistic, configuring the present as a turning point. What kinds of horizons might be imagined at this critical moment in Kerala's history to move the state forward to a brighter future? Could Kerala's former international status as a so-called model of development be recaptured, this time in novel and visionary ways? Once celebrated as a model development for its progressive social indicators, the southern Indian state of Kerala has earned the new distinction as the nation’s suicide capital, with suicide rates soaring to triple the national average since 1990. Rather than an aberration on the path to development and modernity, Keralites understand this crisis to be the bitter fruit borne of these historical struggles and the aspirational dilemmas they have produced in everyday life. Suicide, therefore, offers a powerful lens onto the experiential and affective dimensions of development and global change in the postcolonial world. 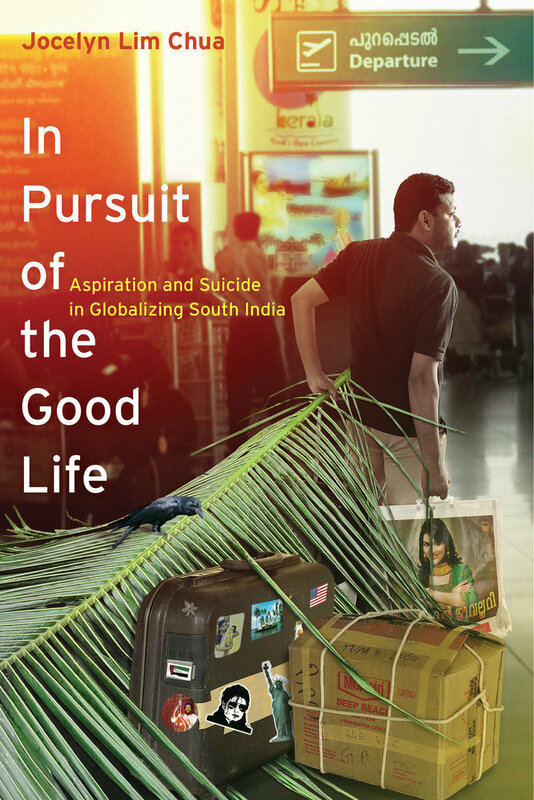 In the long shadow of fear and uncertainty that suicide casts in Kerala, living acquires new meaning and contours. In this powerful ethnography, Jocelyn Chua draws on years of fieldwork to broaden the field of vision beyond suicide as the termination of life, considering how suicide generates new ways of living in these anxious times. Jocelyn Lim Chua is Assistant Professor of Anthropology at the University of North Carolina at Chapel Hill.